Many people always dream of having a great retirement. Others have it planned in their minds so well that they are determined and motivated to prepare for it the best they can. Some are not so fortunate. They do not even know what will make their retirement great. Here are the general keys to a great retirement that applies for the most number of people. Have a predictable source of retirement income. One of the important things to ensure that you have a great retirement is having enough money to fund it. Retirees are a lot more happier if they know how much money they are able to spend during their retirement. This does not necessarily mean that they need to save an insane amount just to be happy at retirement. Having enough that you can spend, keep track, and estimate is just as good. That does not necessarily mean that the more money you have, the happier you will be at retirement. 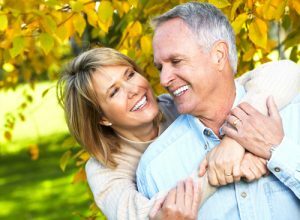 Having the idea that you have some predictable retirement income ensures that you do not have to worry about where to get funds . Plan on what you’ll be doing with your time. It can also be a problem even while you have the money to spend on your retirement but do not know where to spend it on. At retirement, you suddenly have this freedom to do what you like, but you do not have an idea on what it is. You’ve been focused on trying to amass the funds you needed for retirement so that you do not have to worry about money. But then you neglect to plan what you should be doing with your time. Just as you plan to save up for retirement, make sure that you also make plan on how you will be spending it. Retirement for most people can be sad and depressing if they spend it alone. That is why it is important to have a support group that you can always depend on. It should help make your retirement more enriching by maintaining social relationships. Whether it is your family or a group of like minded retirees, spending this time in your life with other people will make it a great retirement.